Trials & Tribulations Of A Brummie Mummy: Pop In Box Subscription & Disney Box Opening. Pop In Box Subscription & Disney Box Opening. I've totally hooked on these pop vinyls and I signed up to Pop in a box which you get a pop and delivery every month. You thumb down the pops don't ever want and thumb up the pops you do. Its surprise every month with a pop you will enjoy. 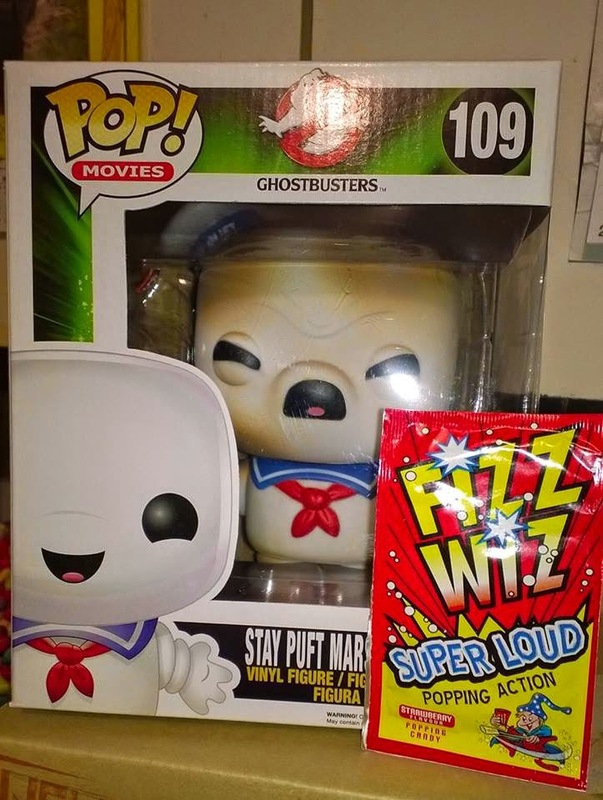 This month I received the exclusive toasted stay puff which a huge 6" awesome pop from Ghostbusters .This was a Hot Topic exclusive in the USA. So I was really shocked when I opened him and saw his face. I just upped my subscription up to two pops so I can't wait for January. I also received the one off Disney box from there too. The box was pretty good for the price in all fairness, even though I wasn't too keen on the pop. In the box was a Sir Hiss pop from Robin Hood. Sally from the nightmare before Christmas pop. Terry's chocolate orange mini bags. Check out the website HERE prices start from £8.49 plus postage for one pop subscription you can have up to a six pop subscription per month. Labels: Pop In Box Subscription & Disney Box Opening.